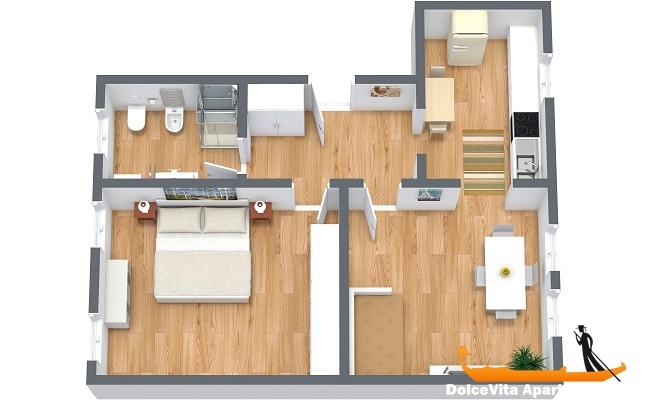 Apartment N. 314: It can accommodate up to 4 people, it is rented from 113 € per Night (not per person). 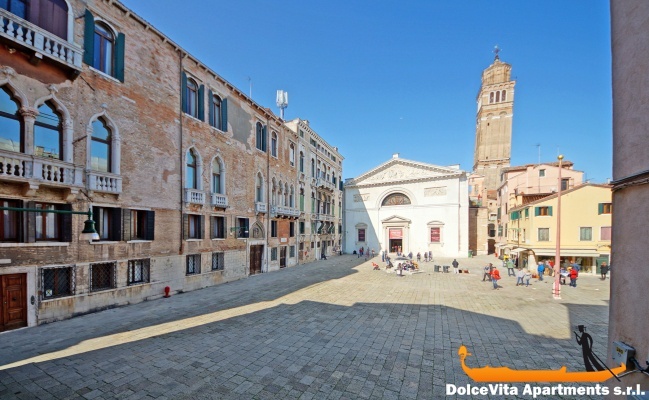 Venice Apartment San Marco Campo San Maurizio: Comfortable apartment on the first floor in the historical center of Venice, in the Sestiere Saint Mark. This house, which has been completely restored, can accommodate up to 4 people and it has: living room, kitchen, bedroom and bathroom with shower. 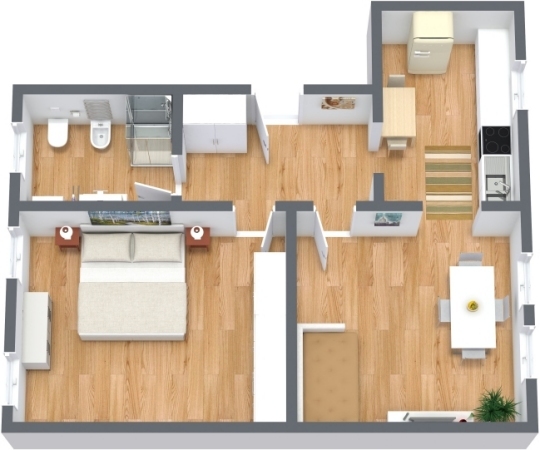 The kitchen is fully equipped with: oven, microwave, refrigerator, freezer, dishwasher and kettle. Other facilities of the apartment are the WI-FI connection, the washing machine, the TV. The house is also equipped with air conditioning. For families with small children, there is also a cot available. Pets are welcome. The apartment is located in the heart of Venice, overlooking Campo S. Maurizio on the first floor of an old palace, 5 minutes from St. Mark's Square, near the Academy Bridge, the Grassi Palace, the museum Corner a few meters from the Grand Canal, where there is also the point of docking of the taxis. The Santa Maria del Giglio vaporetto stop is 5 minutes away, while a large supermarket (Campo S. Angelo) is about 7 minutes away. For small shopping, few meters from the front door of the apartment there are a grocery store and one of the best pastry shops in Venice. At Christmas time, then, there is a fine market. One peculiarity is that the apartment belongs to a well known local glassmaker and it is therefore decorated with sculptures and works (mosaics, stained glass, etc.). 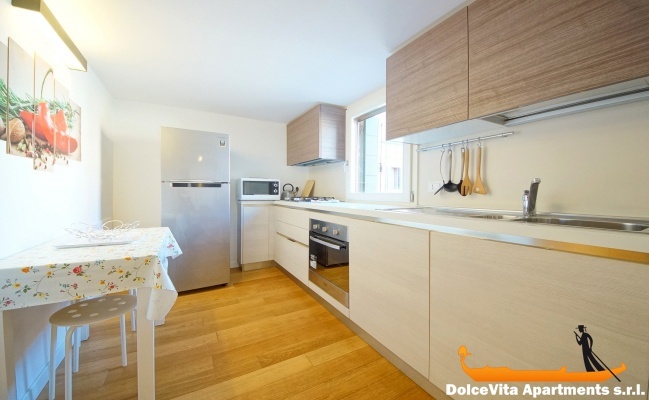 The advantage of the apartment is that the kitchen and living room overlook the "Campo San Maurizio", while the bedroom and bathroom overlook a private inner courtyard and so they are very quiet. Very well placed. Very calm . 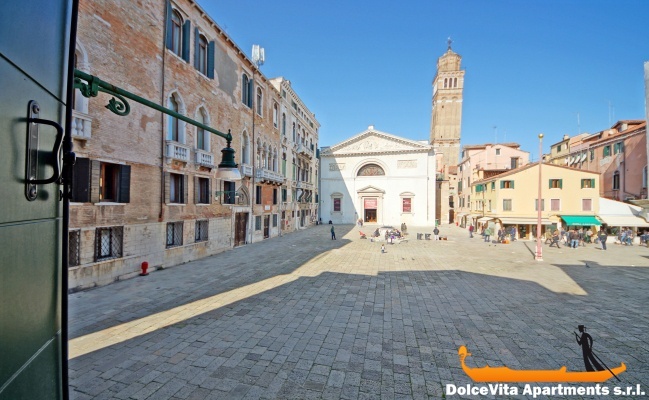 Nice view of the square and the church of San Maurizio. Very nice apartment. Service without complaint. Good welcome. The ideal apartment to stay in Venice. Very good value for money. Nearly all services and all the main attractions. We loved it and we will definitely recommend it. Apartment well located. Comfortable, clean and pleasant. Our stay has been perfect except for the works that were carried out in the adjoining building which prevented a good rest.